The AP-S15RTHR has been designed to fit into Atlas half width equipment racks. 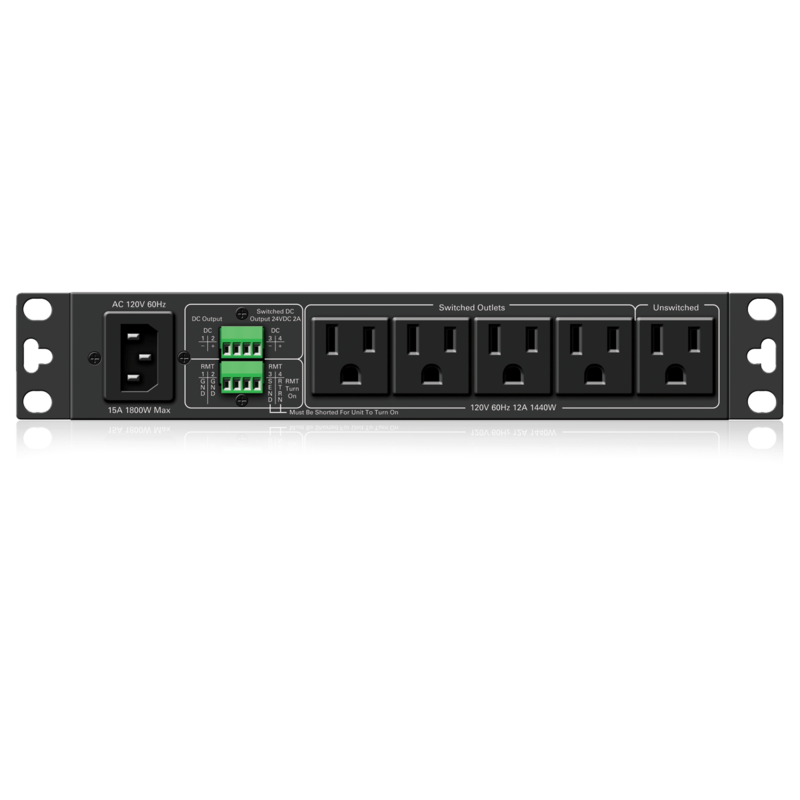 The AP-S15RTHR meets or exceeds most installation requirements for AC power distribution and equipment power protection. 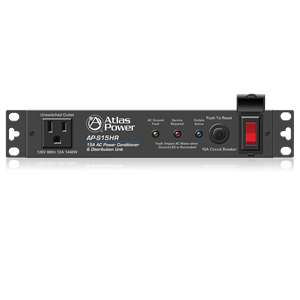 The AP-S15RTHR design offers power management control, remote activation, 24VDC 2000mA output, noise filtering, spike/surge protection and six AC outlets making it the most compact, cost effective power management protection system on the market today. The AP-S15RTHR features noise filtering for unwanted Radio Frequency Interference (RFI) that is commonly introduced into AC lines by nearby radio transmitters or wireless products. EMI filters are incorporated to reduce noise and Electromagnetic Interference (EMI) from such items as electric motors and external switching power supplies. The benefit of these filters can be seen on video products and heard audibly by reduced static pops and external signal interference. The AP-S15RTHR can be remotely activated by using dry contact closure or via a 5V – 24VDC voltage. Either method can be triggered by using one of the optional Atlas WPD wall plate switches that feature a custom label area and remote status LED. 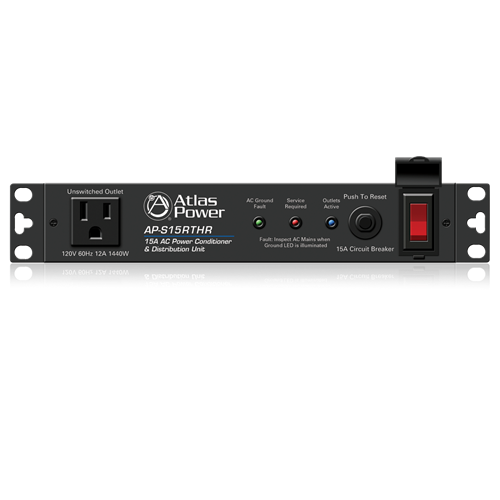 The AP-S15RTHR also features a 24VDC 2000mA DC output that works in conjunction with the switched AC Outlets. This 24VDC output provides enough current to power several Time Saving Device (TSD) preamps, mixers or amplifiers reducing or eliminating the need for external DC power supplies. For fire alarm requirements an Emergency Power Down function or EPD can also be created by using the Remote Activation feature by simply keeping the Remote Activation contact closed until a condition occurs that requires a system shut down. When the contacts are open, it will remove power from the switched outlets. 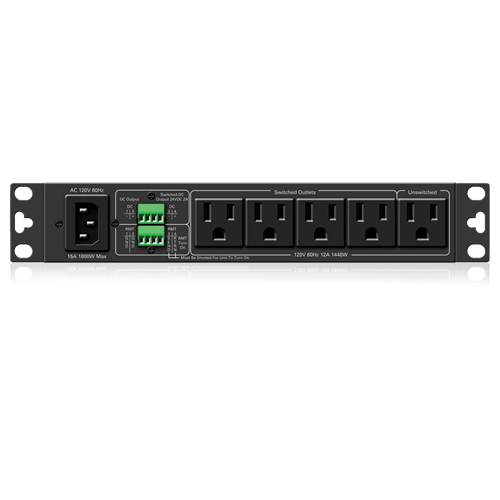 The AP-S15RTHR is unique by allowing you to select the power cord length that is required for the installation. 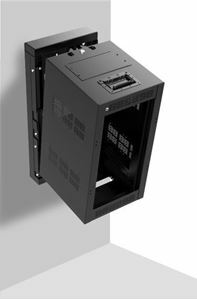 A removable 12' IEC power cord with a retainer bracket is supplied with the unit. 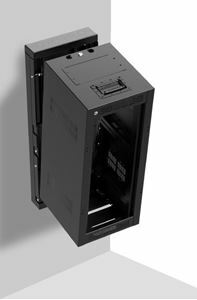 The AP-S15RTHR is designed to be mounted in a half width rack, but can also be rack mounted into 19" equipment racks by using the optional PA702RMK kit. This kit allows you mount an AP-S15RTHR by itself or in conjunction with another Atlas half width rack product such as the DPA-102PM, PA40G/PA60G, or MA40G/MA60G in a 19" 1RU space.